ASMS' client Flightworks expects to spring in to action with as warm and wet weather delivers ideal growing conditions for weeds. 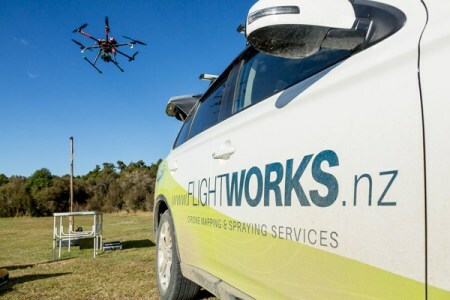 Utilising custom-built unmanned aircraft, Flightworks can precisely map the location of weeds and then precisely deliver spray to just the areas where it is required. This service is ideal when weeds are located in sensitive areas, such as estuaries and beside waterways. Flightworks is certified under Civil Aviation Rule Part 102. As part of that certification, Flightworks was required to meet relevant requirements from the Part 137 agricultural operations rules, hold appropriate spray and chemical-handling qualifications, and demonstrate rigorous risk and safety management practices. As an additional assurance of competence, pilots are required to undergo and annual assessment administered by a CAA-approved Part 141 flight training organisation. For more information on Flightworks' services and the benefits of utilising unmanned aircraft see the articles on Flightworks' website.